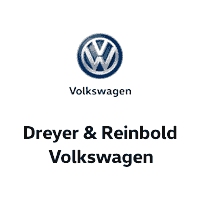 The sportier utility vehicle is now available at Dreyer & Reinbold Volkswagen in Greenwood, IN. The newly designed wagon includes redesigned front and rear bumpers, in addition to LED Daytime Running Lights and 66.5 cubic feet of cargo space with rear seats folded down. 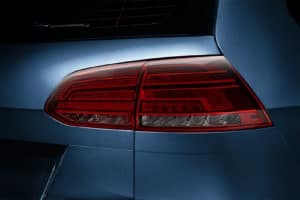 This SportWagen will be on the move with the turbocharged engine under the hood, making every time you drive a fun one. 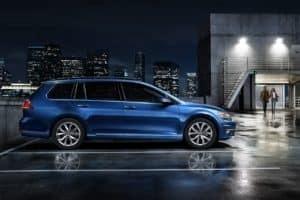 Stop into Dreyer & Reinbold Volkswagen today to view the 2019 Golf SportWagen in person, you will be glad you did! 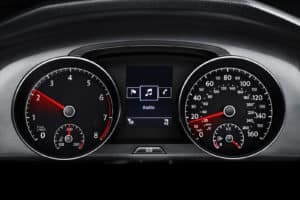 The Golf SportWagen is designed with versatility in mind and features to you keep moving. Sporty and versatile with horsepowerBest wagon featuring 1.4L Turbo, 27 City, 36 HWY, 147 HP, and Exterior design features 15″ alloy wheels, 6-speed manual transmission, power operated side mirrors, and electromechanical power steering with variable assistance. Safety first with Anti-lock braking system, Intelligent Crash Response System and Tire Pressure Monitoring System. This vehicle includes The People First Warranty: 6 years/72,000 miles/transferable bumper to bumper limited warranty. Dreyer & Reinbold Volkswagen welcomes guests from Mooresville, Fairland, Camby, Needham and Beech Grove Indiana. Stop into Dreyer & Reinbold Volkswagen in Greenwood, IN today to test drive the newest Golf SportWagen models!